Many people deploy photo media tools to document everyday events and rituals. For generations we have stored memories in albums, diaries, and shoeboxes to retrieve at a later moment in life. Autobiographical memory, its tools, and its objects are pressing concerns in most people's everyday lives, and recent digital transformation cause many to reflect on the value and meaning of their own "mediated memories." Digital photo cameras, camcorders, and multimedia computers are rapidly replacing analogue equipment, inevitably changing our everyday routines and conventional forms of recollection. How will digital photographs, lifelogs, photoblogs, webcams, or playlists change our personal remembrance of things past? And how will they affect our cultural memory? The main focus of this study is the ways in which (old and new) media technologies shape acts of memory and individual remembrances. This book spotlights familiar objects but addresses the larger issues of how technology penetrates our intimate routines and emotive processes, how it affects the relationship between private and public, memory and experience, self and others. 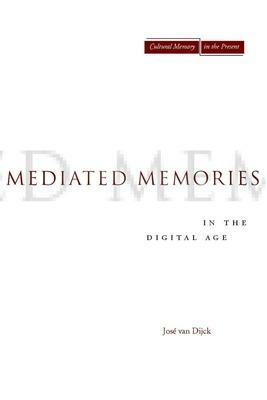 Jose van Dijck is Professor of Media and Culture at the University of Amsterdam. She is the author of several books, including Manufacturing Babies and Public Consent: Debating the New Reproductive Technologies (1995) and ImagEnation: Popular Images of Genetics (1998). Her latest book is titled The Transparent Body. A Cultural Analysis of Medical Imaging (2005).